It seems that everyone has an agenda. People have plans, programs, things they want to accomplish, and the way they want to accomplish them. God has an agenda too, something He wants to accomplish His way. This agenda, according to Scripture, is God's Kingdom, which is an alternative to the kingdom of this world. God's people are not limited by the choices the world offers but are called to live according to God's kingdom agenda. 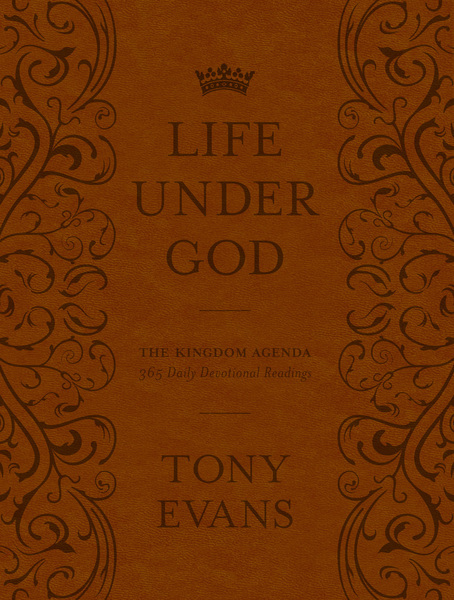 Dr. Tony Evans adapts the core themes of his legacy work The Kingdom Agenda: Life Under God into a format to be read daily—365 devotions to challenge, encourage, and inspire readers to live according to God's agenda in every area of life.